Welcome to the World Online Philatelic Agency (WOPA) section of StampNewsNow.com. 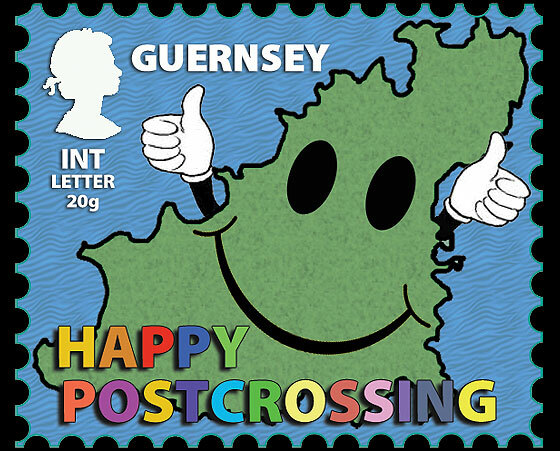 WOPA represents 21 postal administrations, and in the months ahead we will be bringing you coverage of every one of these postal administrations: Aland, Alderney, Austria, Azores, Croatia, Denmark, Estonia, Faroes, Finland, Gibraltar, Greenland, Guernsey, Iceland, Isle of Man, Israel, Jersey, Liechtenstein, Luxembourg, Madeira, Malta, Norway, Portugal, Sweden, Switzerland, United Nations. Click here to make your purchases on the WOPA website. The Republic of Latvia is one of the three Baltic States, bordered by Estonia to the north and Lithuania to the south, with the Baltic Sea to the west. It's most famous city is the capital Riga, a World Heritage Site. Through stamps and in person, there are many interesting places to visit, both urban and rural, and a lot of history in Latvia. The wild beauty of Latvia's unspoiled sea coast and forests that cover approximately half of Latvia's territory make Latvia and its stamps a unique destination. 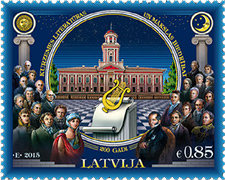 The rapidly-growing World Online Philatelic Agency (WOPA) recently added Latvia to the 26 other nations whose new issues are available from the WOPA site at face value, with a modest shipping charge worldwide. A WOPA spokesperson said "We are pleased to welcome the beautiful country of LATVIA to wopa-stamps.com…Latvia has a huge selection of stamps and related philatelic items on offer in the WOPA website.…Enjoy Latvia." The Principality of Liechtenstein is the only country to lie entirely within the Alps. Its area of just 62 square miles is bordered by Switzerland to the west and south and Austria to the east and north. With an estimated population of 35,000, it has the highest gross domestic product per person in the world. It also has the second lowest unemployment rate in the world. 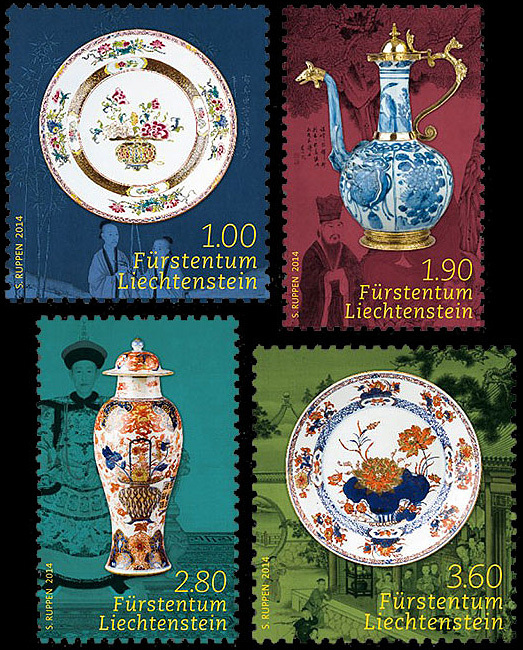 In addition to its own collecting population, the stamps of Liechtenstein have been consistently sought after by collectors for their relevant subjects, appealing designs, high production quality and modest issue quantities. Click to see 4 designs and First Day Cover. 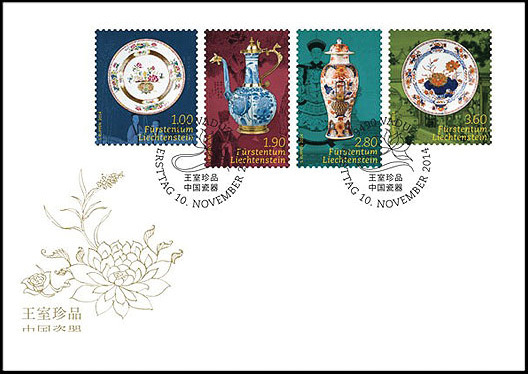 In addition to great automobiles of the past covered by Dave Kent in our November 7, 2014 issue, the collections of the Prince of Liechtenstein also include works of art that were put on display in a set of stamps also issued last November. The Kingdom of Norway shares the Scandinavian Peninsula with Sweden. The dramatic scenery that is found throughout the country also can be enjoyed on their stamps. Norway also has a very rich and interesting history with many of the key events being featured on their stamps. 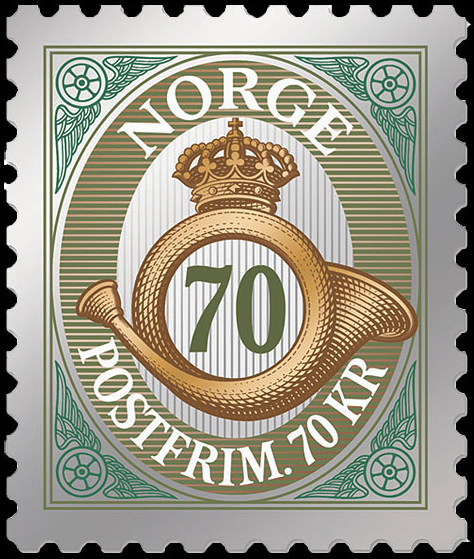 Norway issues about 15 stamp issues a year and maintains a low face value. 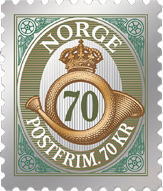 The quality of the stamp designs and the fact that they commemorate important national and international events has always made the stamps of Norway highly collectible. Click to see: Posthorn - larger image. Recent issues from Norway explain why this Scandinavian nation are so popular with collectors around the world. 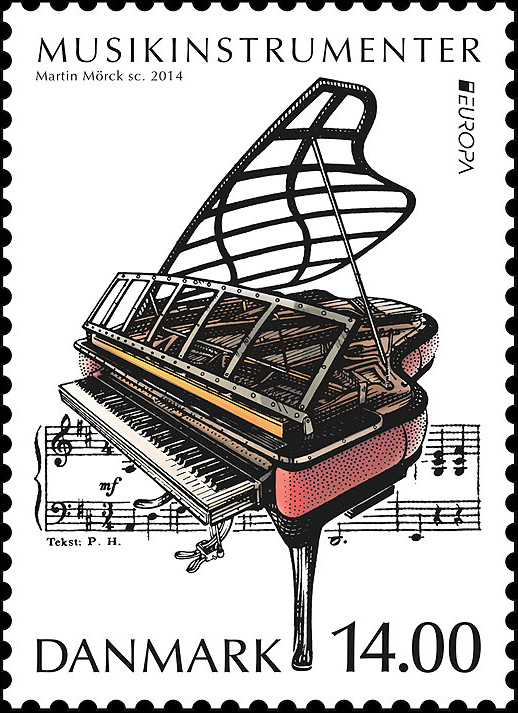 One example is this souvenir sheet issued on November 21 for NORDIA 2014, the Nordic stamp exhibition that was held at the Norway Trade Fairs in Lillestrøm on November 21–23. 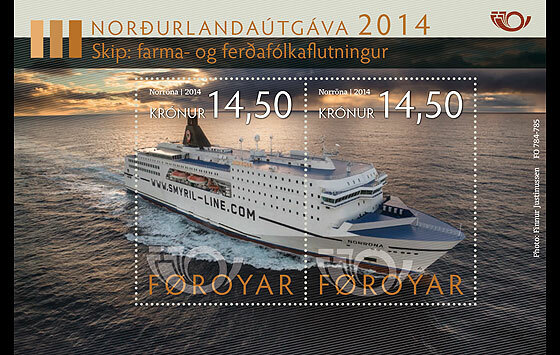 Click to see: 2014 Norway Stamps at WOPA website. 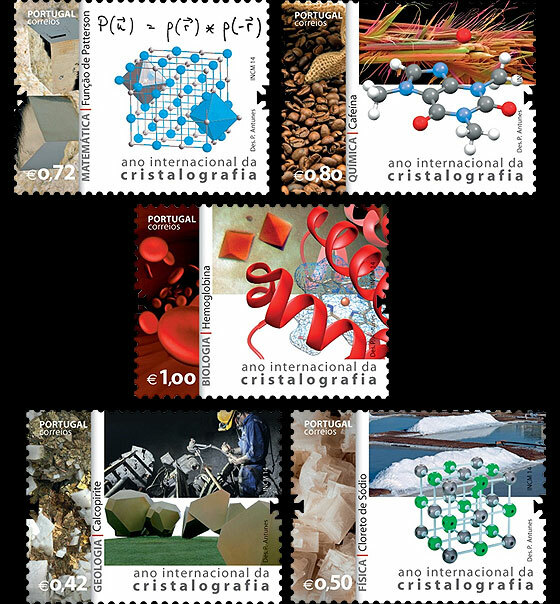 The World Online Philatelic Agency has made available Year Sets, Packs or Annual Books for the year 2014 for each of the nations it represents. 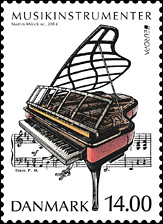 We present here two examples (Denmark) and refer you to the WOPA website, http://www.wopa-stamps.com/ for details and illustrations for all 23 WOPA nations. The Gibraltar 2014 Year Collection includes all the stamps issued by Gibraltar during the year including, the stamps commemorating the 50th Anniversary of the Red Arrows, Gibraltar Endemic Flowers, 75th Anniversary of the Evacuation and the recently released Christmas stamps among other stamp issues. Malta—which includes sister islands Gozo and Comino—is situated in the Mediterranean Sea, 60 miles south of Sicily. With a history spanning over 7,000 years, and at the crossroads of strategic maritime routes, Malta has been a home, stronghold, trading post and refuge to many civilizations. The islands are a melting pot of cultures: Neolithic temple builders, seafaring Phoenicians, the traveler ApostlePaul, the Knights of St. John, Napoleon and the British royalty, all have left their indelible mark. Malta is now an independent sovereign nation and a member of both the European Union and the British Commonwealth. 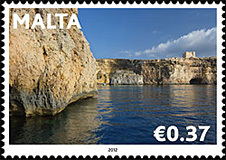 Malta’s philatelic history goes back to 1860 and, with access to such a rich source of material, Maltese stamps are renowned around the world for their unique depiction of a wide variety of relevant themes. From the very beginning, Malta’s stamps have been popular with collectors, and recent issues have added to their popularity. 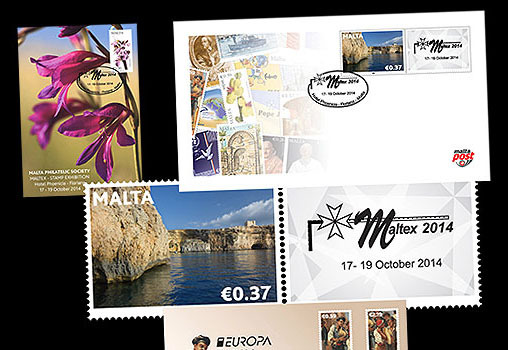 On October 17, Malta Post celebrated its participation in the Maltex Philatelic Exhibition 2014, which had been organized by the Malta Philatelic Society. 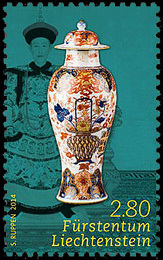 For this event, in addition to the single shown above the Philatelic Bureau issued an Occasion Card, Postal Card, and Personalized Stamp/Cover. 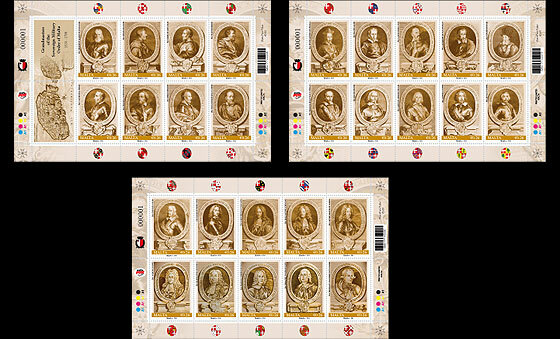 The stamps of Austria are now available from the World Online Philatelic Agency (WOPA) website. 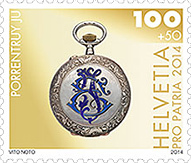 With issues that range from historic milestones that go back more than 1,000 years and others marking recent events and personalities, Austria's conservative release policy, relevant issues, and high quality production have made it one of the most highly respected stamp issuers in the world. Click to see: Mur Valley Railway larger image. 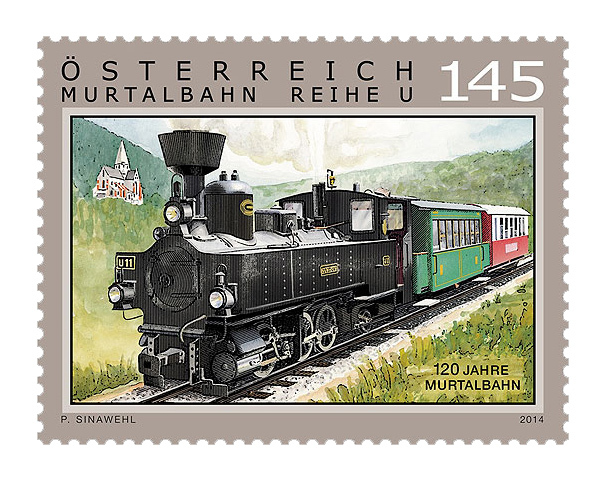 Click to see: 2014 Austria Stamps at WOPA website. Luxembourg—the world's only remaining sovereign Grand Duchy—is situated in the heart of Western Europe. Bordered by Belgium, France, and Germany, it is an extraordinary crossroads where different cultures have met to produce a rich and distinct heritage in its own right. With a highly developed economy, it's capital, Luxembourg City, is one of the wealthiest cities in the world. 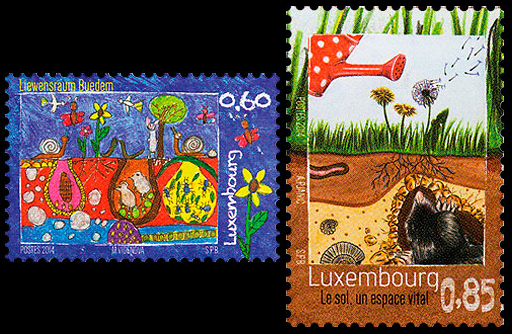 Combining the country's rich history and many local and international topics, Luxembourg stamps have something to offer all types of collectors. 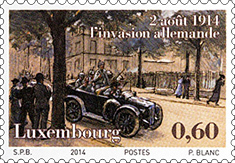 Four new issues released on September 23 demonstrate how Luxembourg stamps combine a rich history with popular local and international topics. 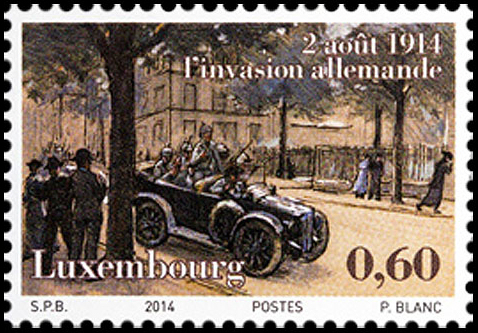 In commemoration of World War One, a single stamp recalls how on August 2, 1914, Luxembourg—which had previously remained neutral—became one of the first victims of German military might. A part of the Russian Empire before 1918, and from 1940 a part of the Soviet Union, Estonia gained its independence once more in 1991. 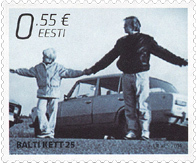 Unlike some former Soviet bloc countries, Estonia has a conservative philatelic program. Its first stamps were issued in 1918 and to date there are less than 1,000 total stamps, many of which present the sights, culture and history of this Northern European nation. 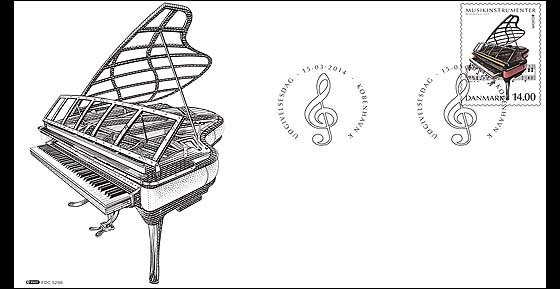 The Baltic Chain - On August 23, in a joint issue with Latvia and Lithuania, Estonia issued a €0.55 single to celebrate the 25th Anniversary of the Baltic Chain. Held on August 23, 1989, the Baltic Chain was a giant demonstration held to influence Soviet authorities and to express the will of freedom of the people of the three Baltic nations. The human chain of nearly . . .
With an empire that spanned the globe in the 15th into the 17th centuries, Portugal maintains links with nations as far way as Brazil and as nearby as Africa. 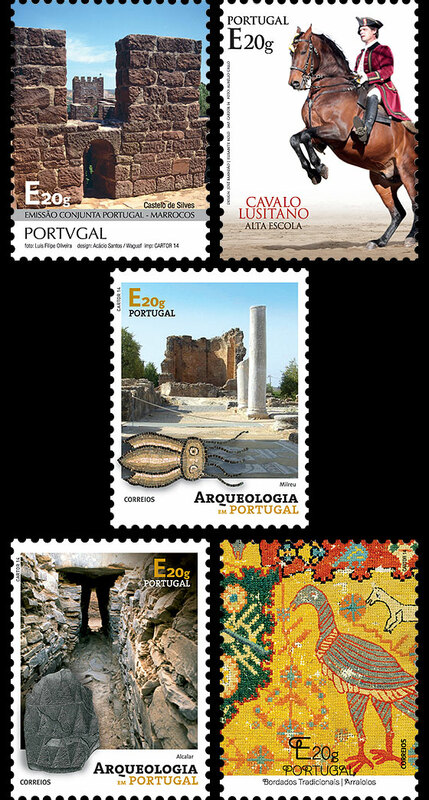 The stamps for Portugal and its former colonies recall the age of exploration and empire as well as highlighting the life and times of modern-day Portugal. 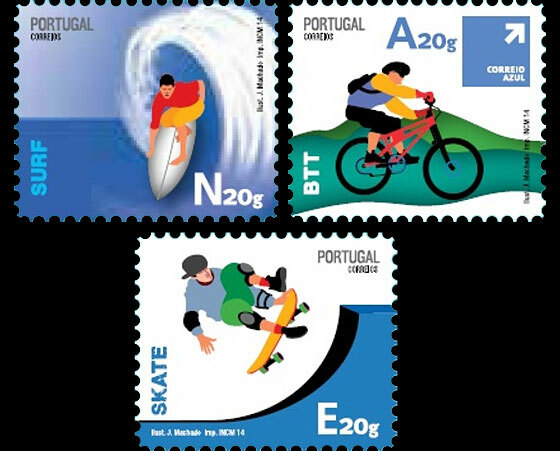 Portugal has been active, with new issue subjects that range from crystallography to extreme sports. Crystallography. Historically, the first references on Crystallography date back to antiquity, when Aristotle said ice was crystal (krystallos in Greek). By the late 18th century, crystallography was understood as the science that studied the crystalline field. In this context, in the last hundred years 45 scientists have won Nobel Prizes for their work related to crystallography. 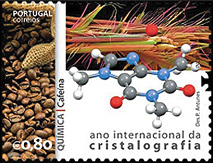 Thus, it is intended that the two stamps, issued on July 21 (one shown), demonstrate the application of crystallography in fundamental science. . . . The Bailiwick of Guernsey is a British Crown Dependency in the English Channel off the coast of Normandy. In addition to the island of Guernsey the Bailiwick includes the islands of Herm, Jethou, Burhou, Lihou, Alderney and the island of Sark. Although the defense of all these islands is the responsibility of the United Kingdom, the Bailiwick of Guernsey is not part of the U.K. but rather a collection of separate possessions of the Crown. 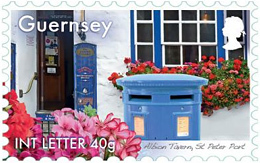 The Bailiwick began issuing its own stamps in 1969. 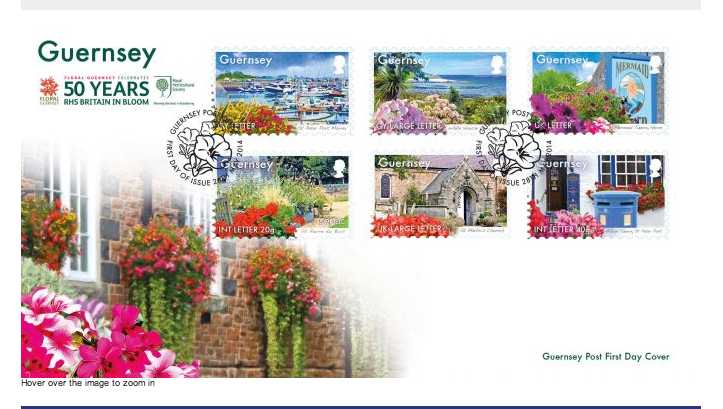 In the intervening years Guernsey stamps have presented scenes of the Bailiwick, Guernsey history, the British Royal family and topical and other themes relevant to the Bailiwick. Located on the Scandinavian Peninsula, the Kingdom of Sweden is the third largest country by area in the European Union. As a constitutional monarchy with a sitting king who has very limited powers, it is ruled by a parliament with executive power held by a Prime Minister. Sweden's first stamp is the 1855 3 skilling banco blue green that also was issued in error in orange. 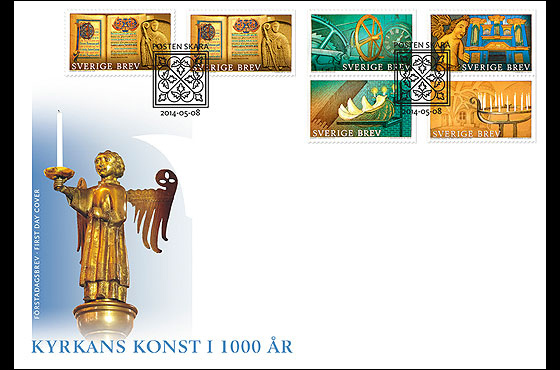 While the unique remaining “Tre Skilling Banco” error has a Scott Catalogue Value of $3,000,000, most Swedish stamps, particularly the recent issues, are still affordable. 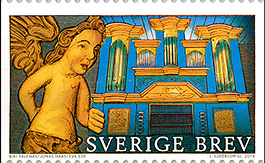 On May 8 Sweden issued a set of stamps highlighting Sweden’s churches as a cultural heritage that needs to be recognized for their Church Art. 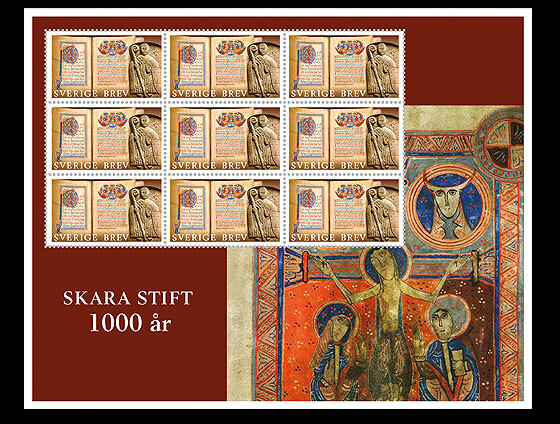 "I believe the stamps can play a role here in terms of promoting rediscovery of the country's thousands of church interiors, which together constitute a large and vibrant museum," said Ingrid Sjöström who is an associate professor of art history and who has . . . The Republic of Iceland, located between the North Atlantic and the Arctic Oceans. Despite its name and its location, it enjoys a temperate climate and is famous for its active volcanos, glacial rivers and geysers. Settled by the Norse in 874, it was ruled by Norway and later Denmark, achieving independence in 1918. Iceland issued its first stamps in 1873. With a conservative philatelic program, the stamps of Iceland reflect its Norse heritage, its many attractions, and its status as one of the world's most highly developed economies. 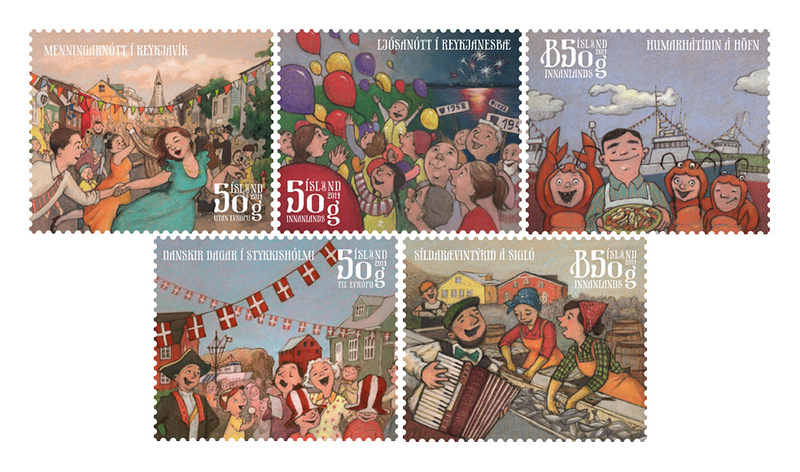 On May 8 Iceland issued a set of stamps featuring five more of its Town Festivals. The series started last year with five summer festivals (Sc. 1304-08). The number of town festivals held in Iceland in the summer has been increasing in recent years. They have become a valued part in the cultural life of many towns and communities in the country. . . .
Bordering on France, Germany and Italy—Switzerland has been able to maintain its neutrality despite the winds of war that swirled around it for centuries. 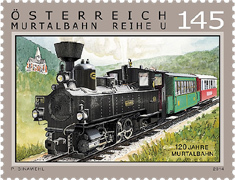 Switzerland's philatelic history goes back to the famous Cantonal Issues—the Double Genevas, Basel Doves and other famous stamps—and continues today with stamps that display "Swiss quality" at its finest. 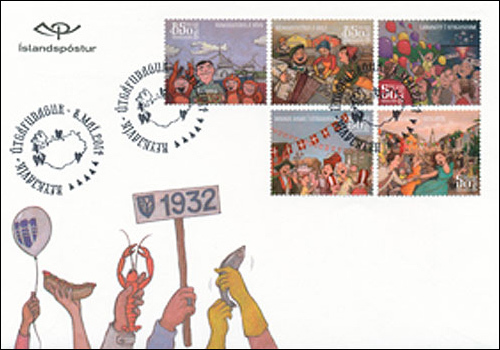 This May Switzerland released 12 stamps in six different issues, most of them with May 8 first days. Pro Patria, Museums: Leading the way was the latest Pro Patria issue, which is used to raise funds for Switzerland’s approximately 400 local and regional museums. The stamps picture works that are on display in those museums. Cities: Next we see the set of three stamps on the theme “Cities of Switzerland”. This is the third in an three-year series, preceded . . . The Kingdom of Denmark is a constitutional monarchy located on the Jutland peninsula bounded by the North and Baltic Seas along with Sweden and Norway. 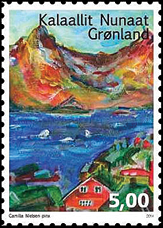 The Kingdom also includes numerous islands as well as two autonomous constituent countries in the North Atlantic—the Faroe Islands and Greenland, which issue their own stamps. Denmark issued its first stamps on April 1, 1851. It is a very collectible country, maintaining a conservative issuing policy and producing moderate quantities with quality designs on relevant subjects. 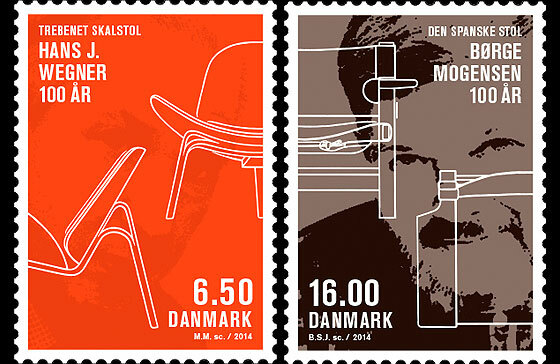 This March Post Danmark released four different sets that demonstrate the enduring appeal of Denmark’s philatelic history and new issues program. 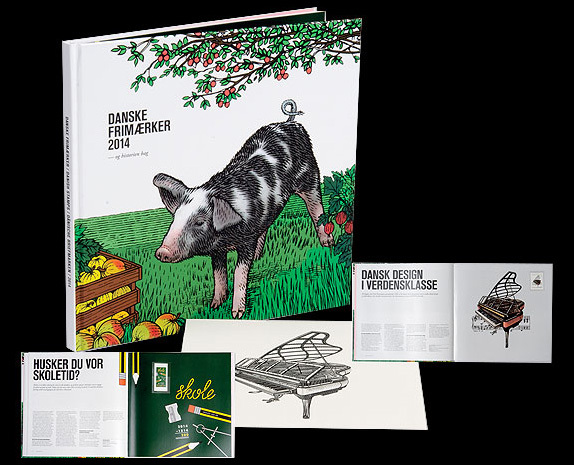 One of three March 15 issues also exemplifies the appeal of Danish design, which is famed way beyond Denmark’s shores. Many of the pieces of furniture designed during the golden age of furniture design—from 1930 to 1970—are now much sought- after objects. In recent years in particular, there has been a growing interest in Danish design, greatly supported by the retro trend which has made post-war furniture and furnishing accessories highly respected and valued items. 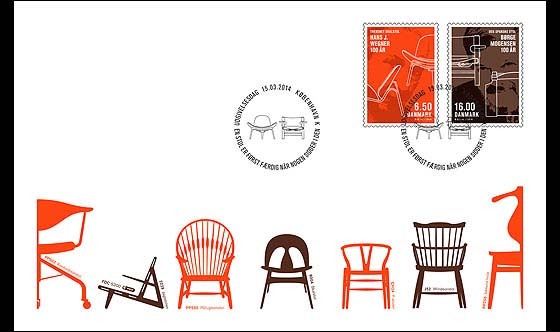 The two stamps celebrate the centenary of the births of the furniture designers Hans J. Wegner and Børge Mogensen. The motifs show . . . Located between the Norwegian Sea and the North Atlantic Ocean, the Faroe Islands have been a self-governing country within the Danish Realm since 1948. 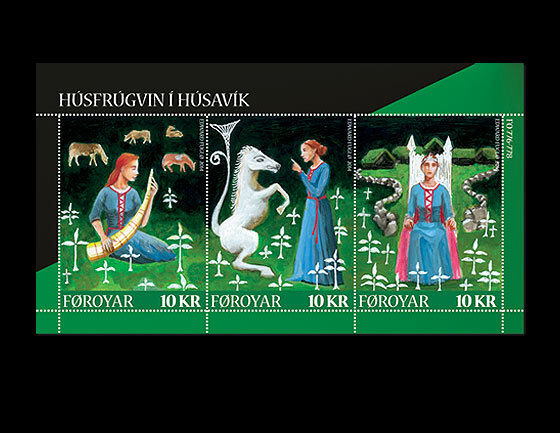 In addition to themes related to its maritime location and heritage, the stamps of the Faroes postal service also bring us spell-binding fairy tales and legends that are a mix of fantasy and folklore. The Faroe Islands recently released four new sets. 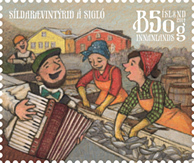 Three of those, released February 26, included a sheetlet for the legend of the wealthy The Lady of Húsavík. It tells the well known legend of the poor servant girl of Skúvoy, who discovered where the Viking chief, Sigmundur Brestisson, had buried his golden horn. After selling her treasure to the king, she was able to buy all the land in the village of Húsavíka and become the wealthiest woman ever to have lived in the Faroe Islands. The story sounds like a poor people's daydream but in reality one, or even two, very rich ladies resided in Húsavík in the 14h century. Based on a number of documents dated . . . Famous worldwide for its dramatic Rock of Gibraltar strategically located at the southernmost tip of the Iberian Peninsula where Europe meets Africa, Gibraltar offers visitors—and stamp collectors—a rich history, colorful scenery, wildlife and architecture. 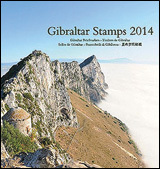 A wide range of activities from rock touring, to sailing, diving, fishing and bird watching are accessible to visitors to the island nation itself and to the Gibraltar pages that are part of the vast World Online Philatelic Agency (WOPA) website. 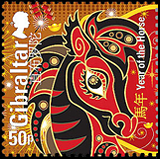 On January 30, Gibraltar began its 2014 stamp program with a se-tenant pair of Lunar New Year stamps. 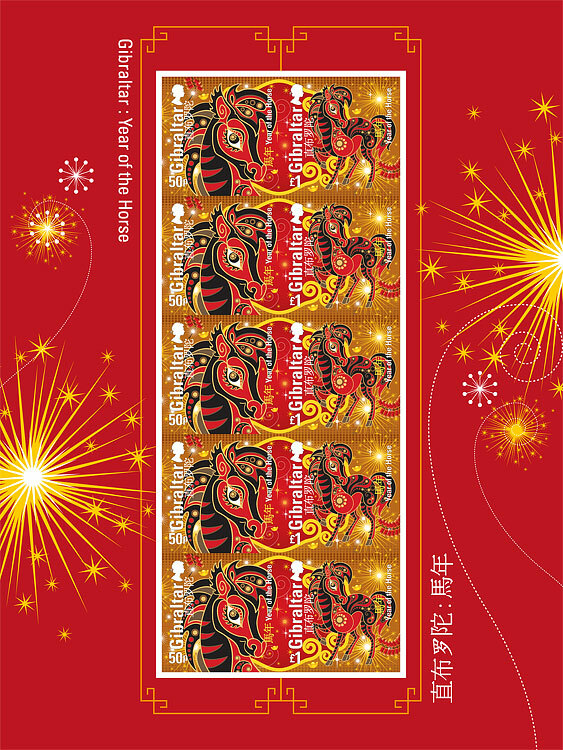 According to the Chinese Zodiac, 2014 is the Year of the Horse, beginning on January 31, 2014 and ending on February 18, 2015. The spirit of the horse is recognized to be the Chinese people’s ethos—making unremitting efforts to improve themselves. It is energetic, bright, warmhearted, intelligent and able. Ancient people liked to designate an able person as . . .
Greenland is an autonomous country located between the Arctic and Atlantic Oceans and is located on a North American geographic subplate. In 1979 Denmark granted home rule to Greenland, in a relationship known in Danish as Rigsfællesskabet (Commonwealth of the Realm). Today the Danish royal government is in charge only of foreign affairs, security and financial policy, and the Danish krone is the currency used in Greenland—1 DKK being worth approximately US 18¢. 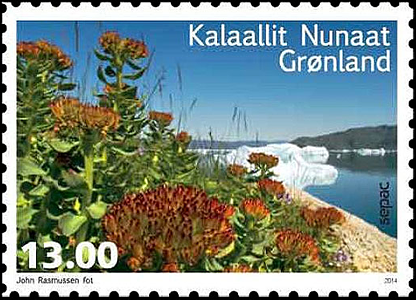 Greenland's stamps, which reflect its vast history and impressive landscape and commemorate many relevant local themes that also are of interest to collectors worldwide, are available at face value from the World Online Philatelic Agency (WOPA) website. 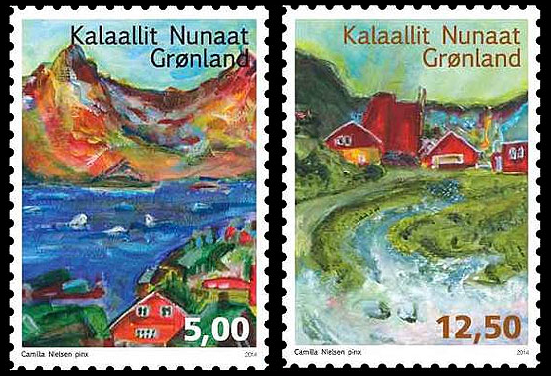 On January 20, Greenland released a total of nine stamps in six different sets . . .